Being from the North, we at Oakleaf are here to tell you that winter is coming…so stock up on cakes. Over the past couple years we’ve created some Game of Thrones designs that are fit for a King (or Queen) (*cough cough* spoilers). That’s what we do. 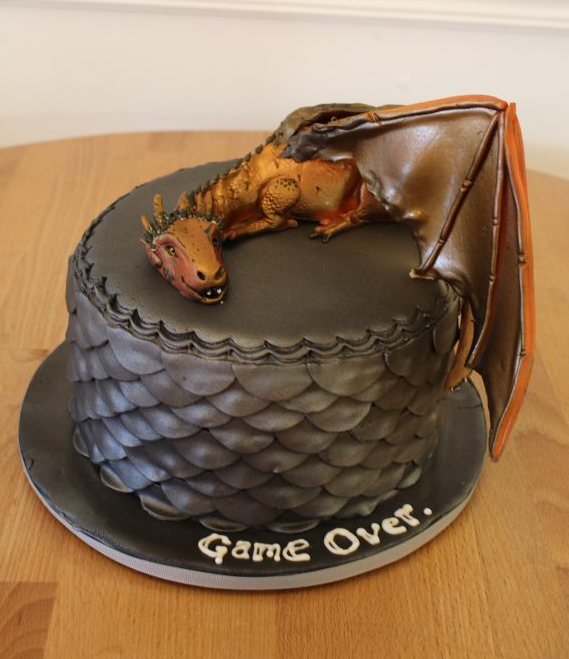 We bake cakes and we know things. Our throne was forged from sugar and literally assembled blade by edible blade. The whole process to create this throne takes our decorators nearly four hours. 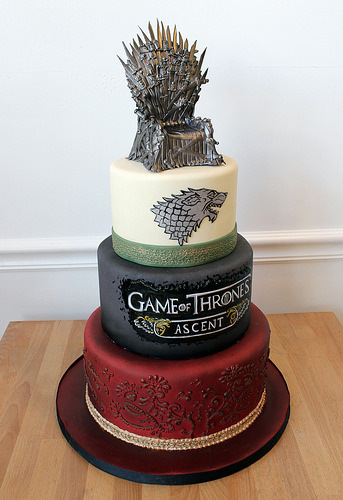 Although it’s a lengthy process, it’s always better to have a cake than one of Arya’s pies. 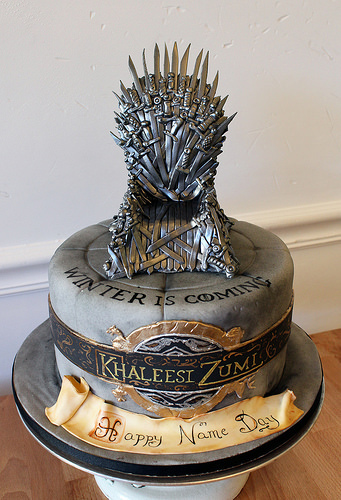 House Martell would approve of this cake as it is unbowed, unbent, unbroken. 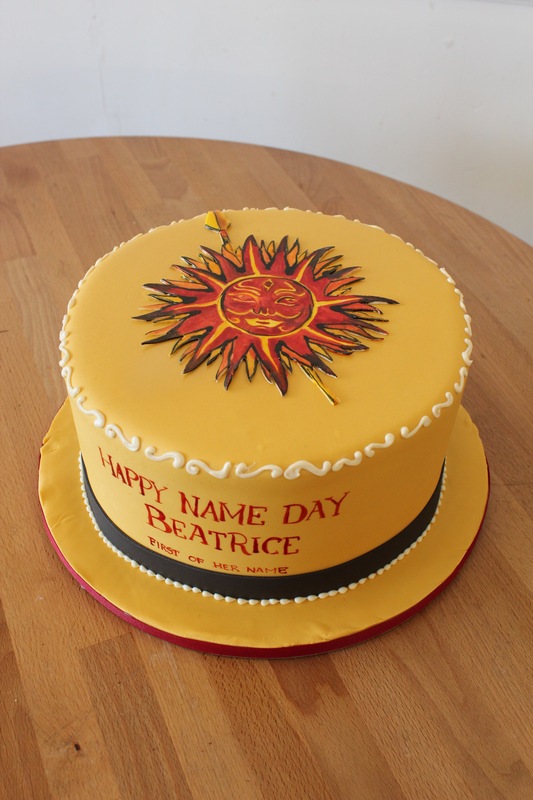 The sun design was hand painted by our talented decorators. 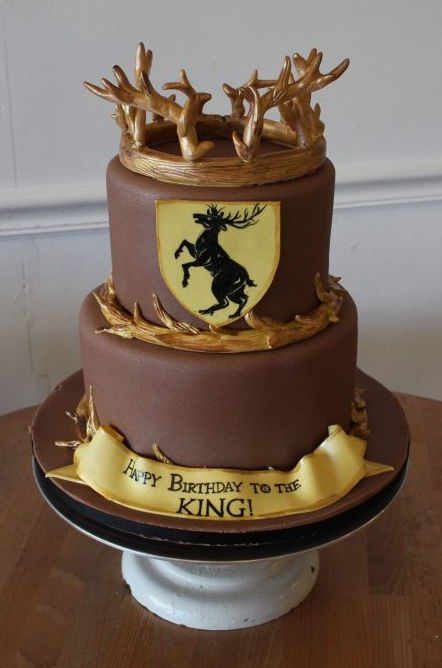 As far as House Baratheon cakes go, ours is the fury! When it comes to the game of cakes, you eat or you cry (in our opinion). While our cakes aren’t exactly healthy, this further proves that the things we love destroy us (and our diets) every time. 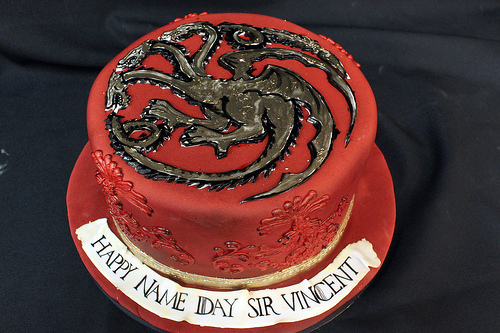 No dragons were harmed in the making of these cakes for House Targaryen. What flavor would you prefer? I’ve heard lemon cake is the best. No matter what the flavor, just remember that a body needs cake as a mind needs books.